Confluence Gallery invites you to submit work to their upcoming “Music as Muse” show. The show will open on July 23, 2016 and will run thru August 27, 2016. Do you listen to music while you make art? 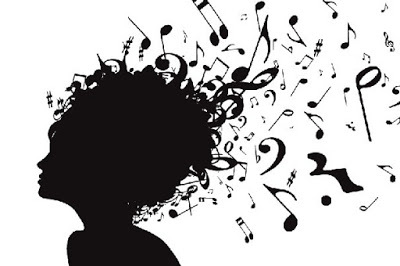 What music inspires you as you create….the wind in the trees, birdsong, Mozart sonatas, heavy metal grunge? Tell us what you listen to and show us the art you create from it. The art doesn’t need to be ABOUT music, or include musical imagery. When a musician creates an album it tells a story that has a beginning, middle and end. We are looking for a cohesive collection of works from each artist firmly rooted in their musical muse. Music as Music is a partnership exhibit with the Methow Valley Chamber Music Festival. A portion of commissions will be donated to the festival, a non-profit organization that presents high-quality concerts with musicians from around the world at venues in the Methow Valley. A series of FREE concerts will be presented at Confluence Gallery during this exhibit. How does music inspire you? What music do you turn up to get your creativity flowing? Send a statement of what music you listened to or inspired you while creating the collection of works you are submitting, including the list of the songs on your playlist, and WHY. These statements will be on display with the work in the gallery. For submissions of musical instruments, all works must be hand made by the artist. Fully functioning and/or fantasy instruments are acceptable. Up to three submissions of instruments per artist. 3 pieces exactly per artist for all other art. All mediums accepted. **Please note the curator(s) have the right to refuse work, even after work is delivered to the gallery, if it does not contribute to the direction, cohesiveness, quality or available space of the show. We are looking for high quality execution, presentation, and thoughtful content that contribute to the vision of the show. Intent to Submit and Jpeg samples of work or website by 5-1-16 Email Jpegs of finished work or work in progress by 6-23-16 (300 dpi for printed promo materials). Email Artist Statement and Bio by 7-16-16. Completed works, Inventory Sheet and Confluence Gallery Contract 7-16-16. Show Opening July 23, 2016 4pm – 8pm. All artists are encouraged to attend. Show Closes August 27, 2016. Work will be available for pick up after 3pm. Please email curator or call Executive Director Salyna Gracie at the Confluence Gallery (509) 997-2787salyna@confluencegallery.com if you have any questions about the show or the requirements.